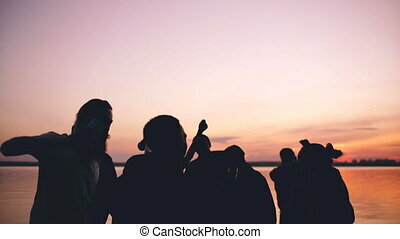 Group of multiracial people sitting on a beach. 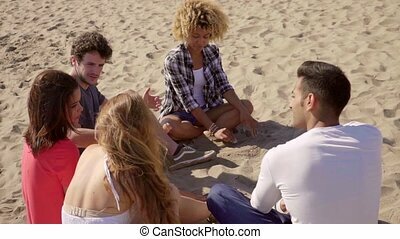 Group of multiracial young people sitting in a line on a beach in the sand chatting and smiling. 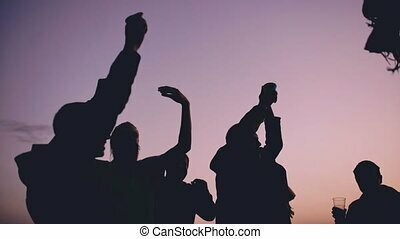 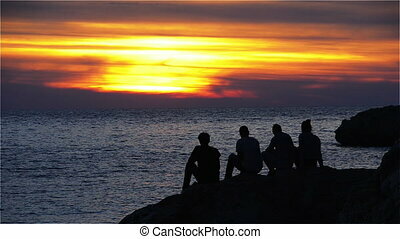 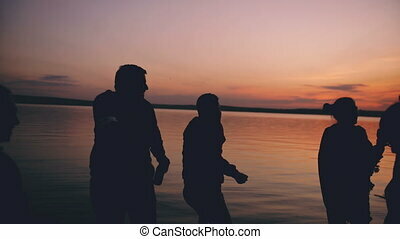 Group of Teenagers Sitting on a Rock and Enjoy the Sunset. 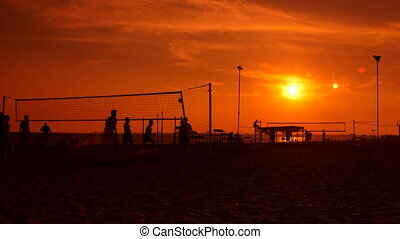 Sea is Calm and the Sun Painted the Rare Clouds in Orange. 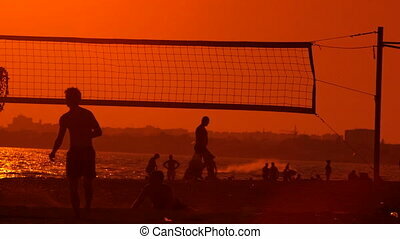 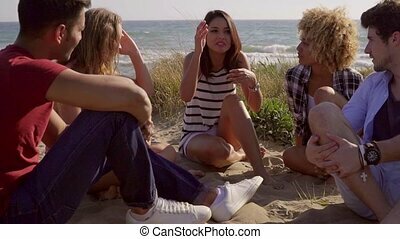 Team of five young people sitting on the sandy beach and have a great conversation. 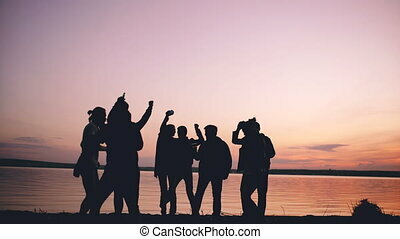 Over shoulder tracking shot of group of attractive young people while sitting on the beach and lead a discussion in slow motion. 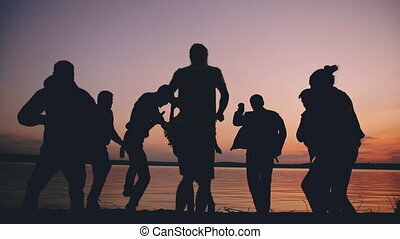 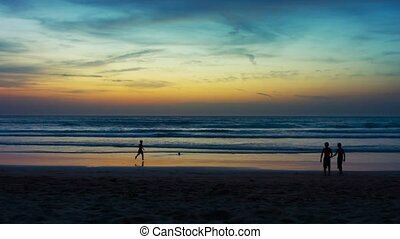 Tracking shot from right to left of group of five young people while sitting on the beach and lead a discussion in slow motion. 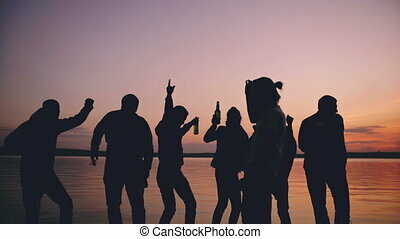 Group of five mixed-race young people sitting on the mediterranean beach and enjoy leisure time on the coastline. 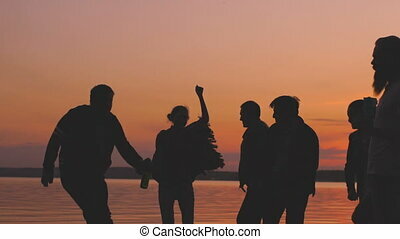 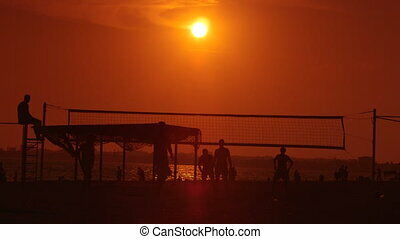 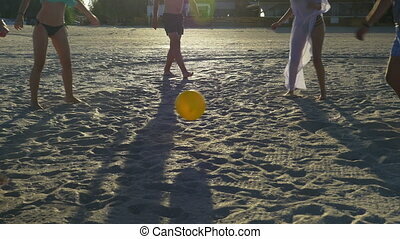 Young gang of five people sitting on the sandy beach and enjoy leisure time on the beach while discussion. 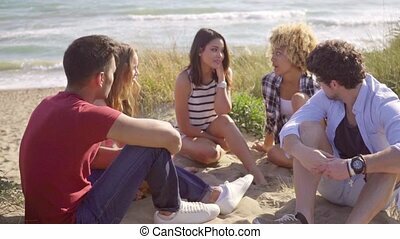 Group of five mixed-race young people sitting on the mediterranean beach and have a discussion. 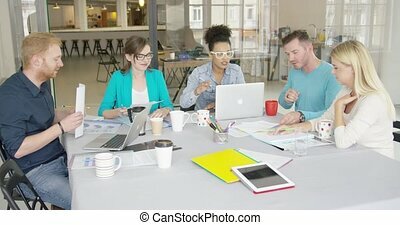 Group of young promising coworkers sitting at table with gadgets and coffee mugs and communicating while working on new project. 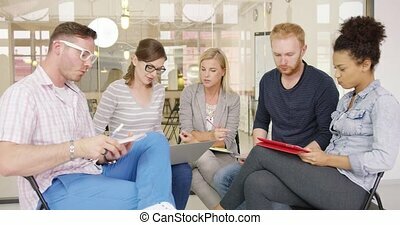 Group of young people in casual clothes sitting in office and working on new work plans by using laptop and tablet. 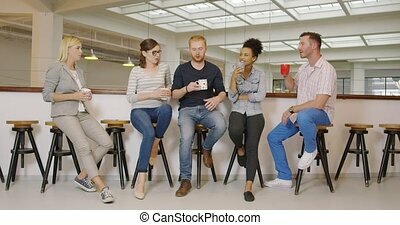 Group of people in casual clothes sitting on bar stools during break and clinking with cups of coffee. 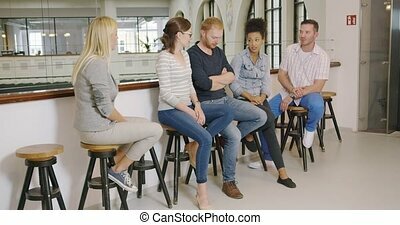 Group of young people in casual clothes sitting on bar stools and having nice chat during break. 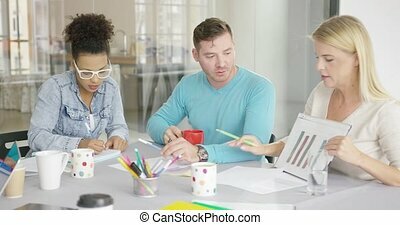 Group of young people concentrated on work with papers and documents while sitting at table in office. 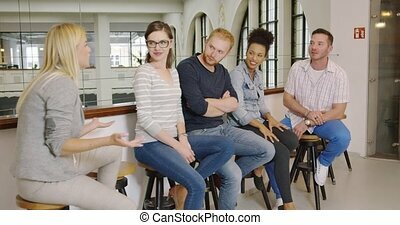 Group of young people in casual clothes sitting on bar stools during break and listening attentively to their colleague. 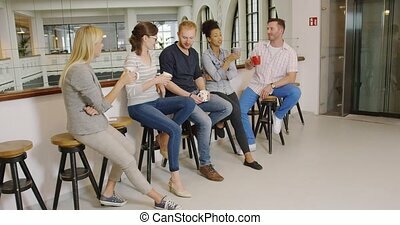 Group of people in casual clothes sitting on bar stools during break, drinking coffee and talking with each other. 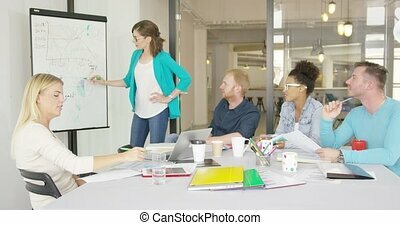 Group of people sitting at desktop in contemporary office and listening to presentation of young female coworkers drawing graphic on board. 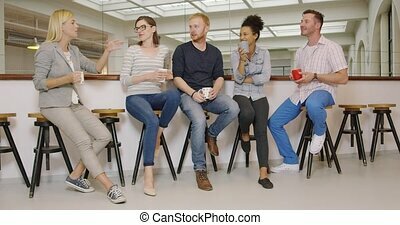 Group of young people in casual clothes sitting on bar stools during break, drinking coffee and listening attentively to their colleague. 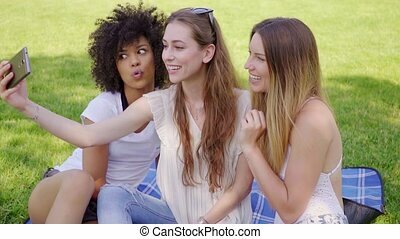 Group of pretty multiracial friends women sitting on plaid in park and grimacing while taking selfie together. 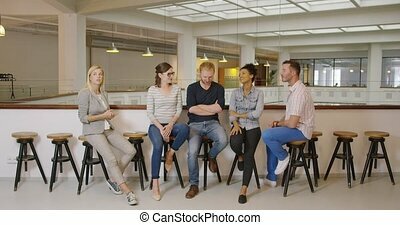 Group of colleagues in casual clothes sitting on bar stools and having nice chat during break. 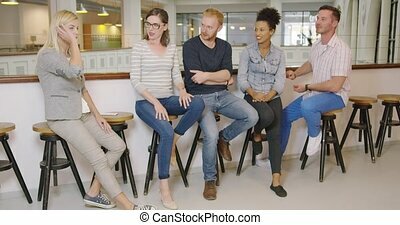 Group of colleagues in casual clothes sitting on bar stools during break and listening attentively to blonde woman. 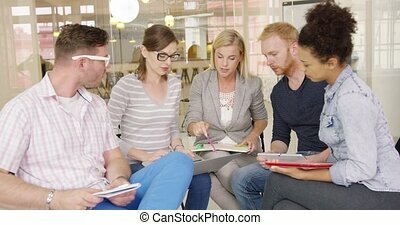 Group of colleagues in casual clothes sitting in office, discussing new work strategy and making notes on laptop and tablet. 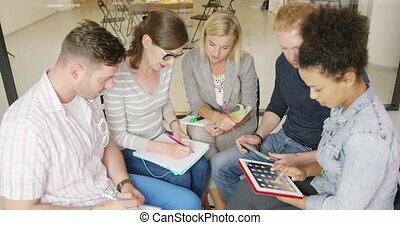 Group of colleagues in casual clothes sitting in office, discussing very important project and making notes in notebooks and on tablet. 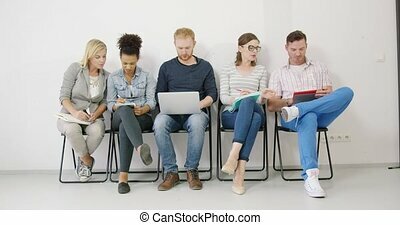 Group of colleagues sitting on chairs in front of white wall, making notes in notebooks and on laptop, and sharing their ideas.